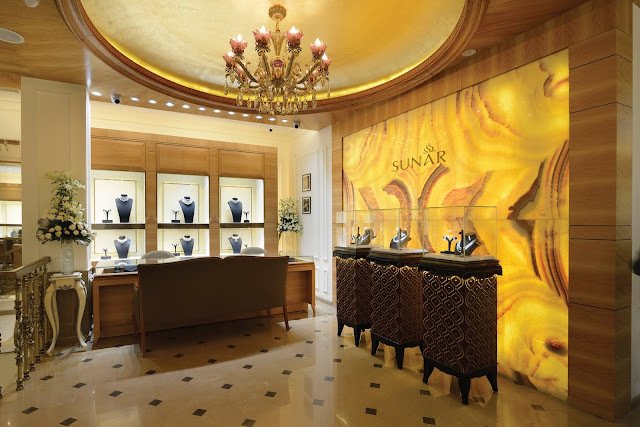 Feature : SUNAR Jewels - A House of Luxurious and Awe-Inspiring Jewellery | Designer Jewellery in Delhi | The Shopaholic Diaries - Indian Fashion, Shopping and Lifestyle Blog ! 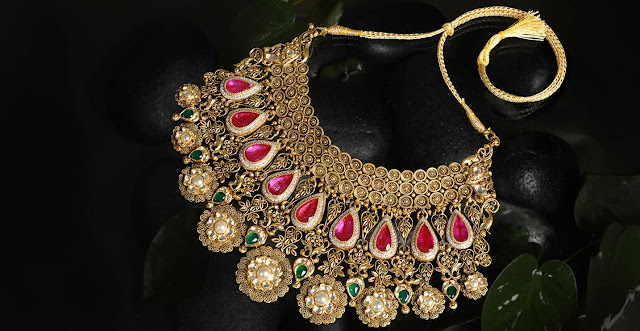 The other day I was checking out the pictures of Mira Rajput, or should I say Mrs. Mira Kapoor, from her wedding and reception, and just couldn't take my eyes off from the beautiful jewellery she chose to wear. 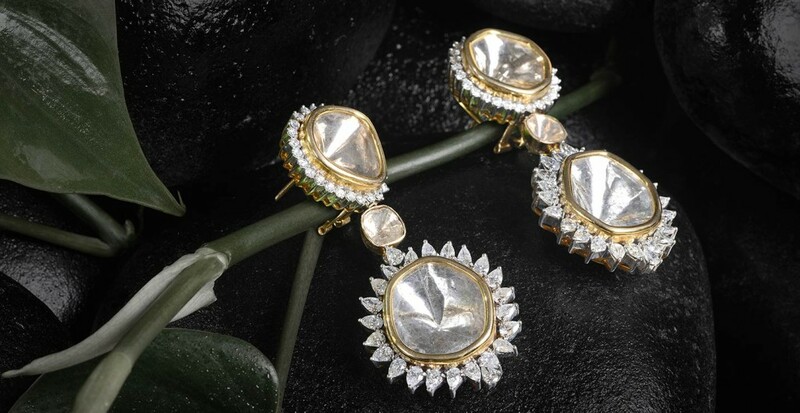 Jewellery has been an important part of our attire since ages, and even the modern day jewellers take inspiration from the Mughal era and vintage pieces to create magnificent designs which are suitable for the modern brides. I am sure that even if you are unmarried, you would have had an image of the kind of jewels you would want to wear on your D-day. And while wedding is not on the cards for me anytime soon, I can't help checking out the latest jewellery collections and making a Wishlist of my own. 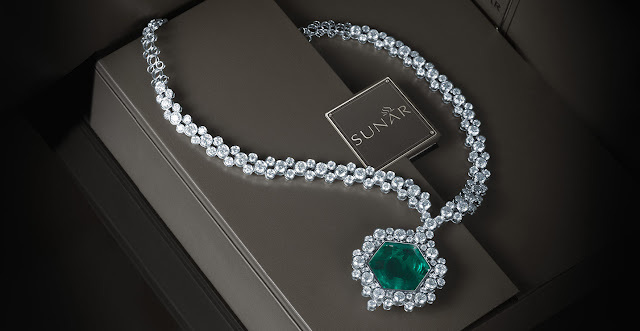 So, recently when I was introduced to SUNAR Jewels : a fine jewellery brand located in the heart of Delhi, I was completely awestruck by their exquisite jewels. 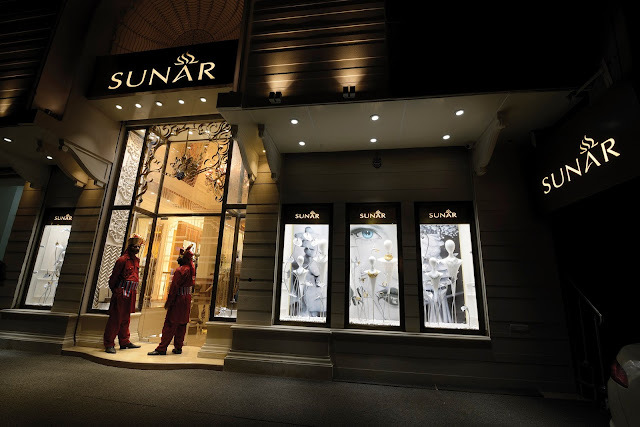 SUNAR is the brainchild of the business mogul and designer extraordinaire, Praveen Goel, whose name is the forefront of Luxury Retail. 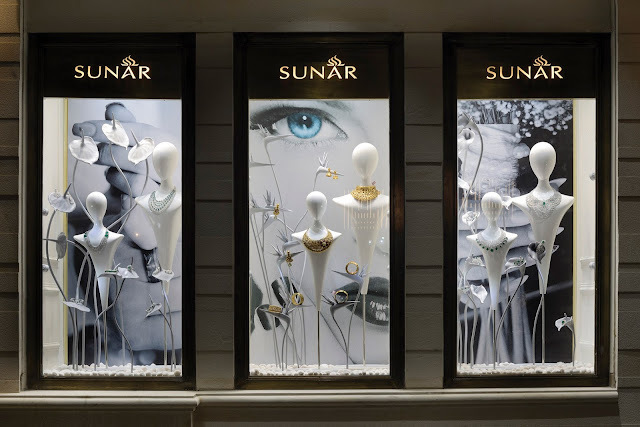 The brand creates visual poetry with pieces that embrace contemporary styles and modern innovations while preserving the traditional designs. 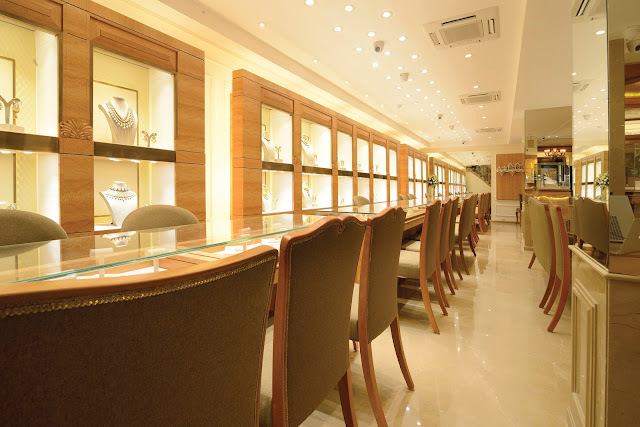 Located in one of the most popular markets of Delhi - Karol Bagh, their studio can truly be called a Jewellery Haven. 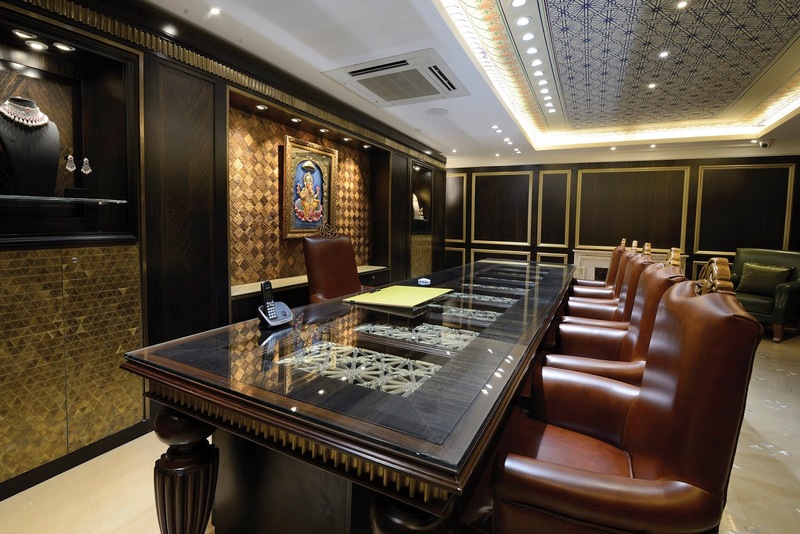 Upon entering the showroom, you will be taken to a magnificent room which has a regal touch and rich aura. The interiors have an aesthetic appeal which and the display areas surely are the centre of attention. Shiny walls with rich wooden work accentuate the sparkling jewels on display with plush sofas and chairs for a relaxed experience. The interior decor of the showroom, the color palette, and the excellent jewellery displayed are a reflection of beauty. 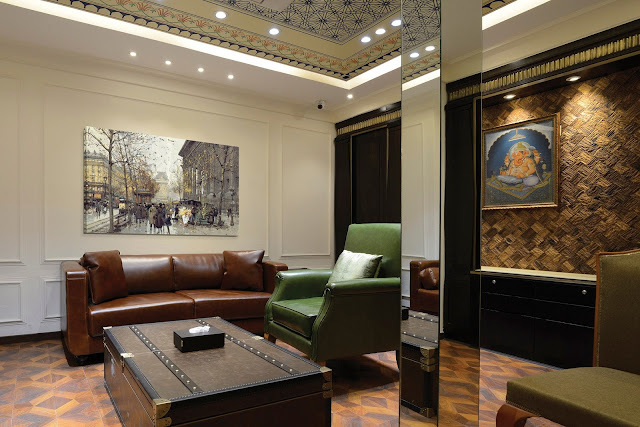 Their large, beautiful showroom houses Wedding Trousseau, Polki jewels, Designer pieces and much more that will leave you spellbound with their excellent craftsmanship and intricate designs. 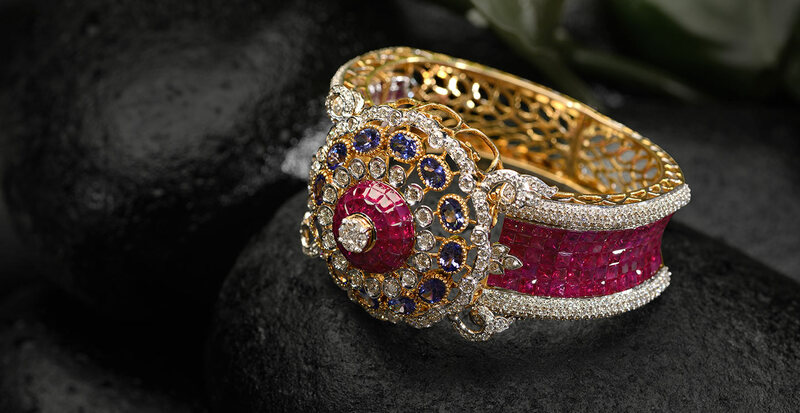 One of my favorites from their Designer collection is this ruby bracelet which will look oh-so-fabulous with a cocktail gown and stiletto heels. The best part about their luxurious designs is that not only do they feature the contemporary styles, but also blend modern innovations to make something perfect for a modern woman who loves to balance traditions and her confident style. 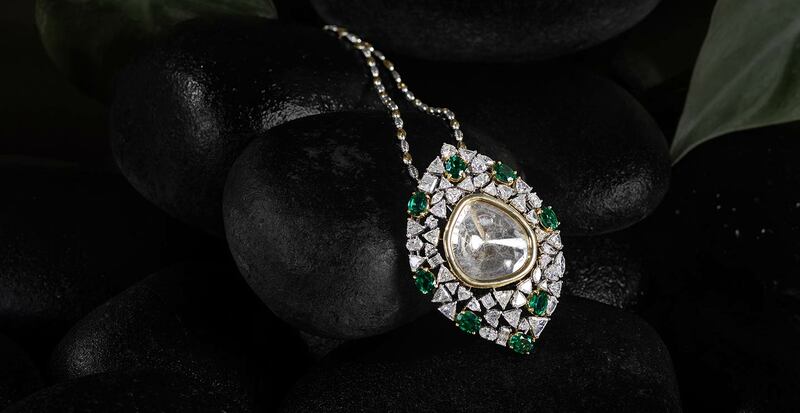 This diamond necklace is example of their excellent craftsmanship and something that I would love to wear on my D-day. 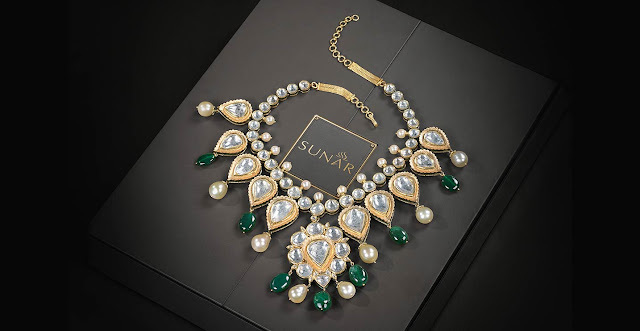 Other favorites from their uber rich collection were a timeless Gold choker neckpiece, a Polki masterpiece, drop earrings, a unique gold pendant depicting their eye for detail with the use of magical gemstones and precious metals. Apart from the pieces featured here, SUNAR offers lots of wearable pieces at great prices which could be a perfect gift for yourself or your loved ones on any special occasion. If there are any pieces that catch your eye from the ones featured above, or if you would like to know more about SUNAR and their offerings, visit their website www.sunar.co . All these pieces look very luxurious and glam! Wonderful selection of jewelrly!